There is a feeling of magic in the air during the holidays in Denver’s Cherry Creek North, a charming 16-block shopping, dining and lifestyle district that sparkles with 30 miles of twinkling LED lights. Carolers decked out in beautiful period costumes share treasured songs, friendly local shopkeepers make finding the perfect gifts easy, and special events like Winter Fest are part of favorite family traditions. Cherry Creek North, an ideal place to sip, savor, shop and stroll year-round, is especially enchanting during the holidays; it’s a place where checking off holiday to-dos doesn’t need be rushed but enjoyed. Maybe even slip in an hour or two at one of the district’s spas or salons or take a break for a glass of wine or a delicious meal as a little present to yourself! Looking for one-of-a-kind gifts or especially unique items to adorn your home for a holiday celebration? 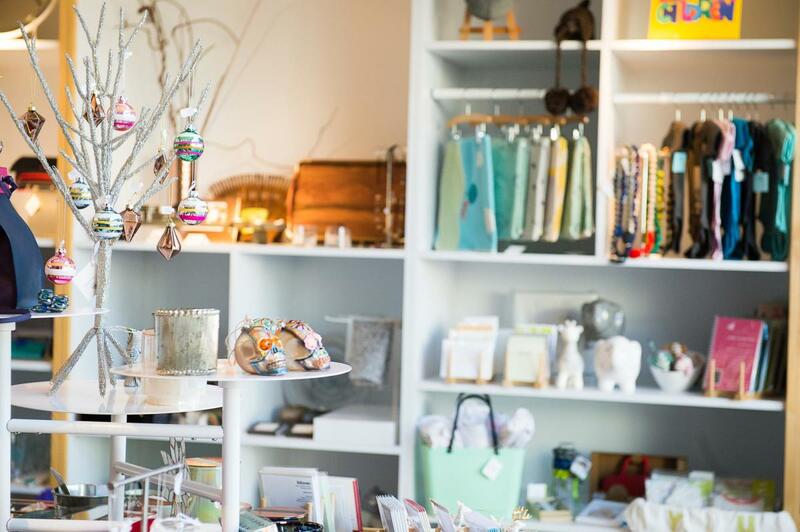 Cherry Creek North specializes in distinct shopping experiences with more than 175 small businesses that present a diverse mix of retail offerings, from gift shops and fashion boutiques to home furnishings and art galleries. Not only will you discover items not found just anywhere, but you’ll also be directly supporting local entrepreneurs. Right after Thanksgiving, help celebrate Small Business Saturday in Cherry Creek North on Nov. 24. From 10 a.m. to 2 p.m., bring proof of purchase from any retailer in the district to Second Avenue and Fillmore Street and be entered to win a $100 Cherry Creek North gift card; multiple winners will be selected. Get strategic with your shopping by viewing a list of Small Business Saturday promotions in advance as well as the online Cherry Creek North directory organized to browse local shops, restaurants and services located from First to Third Avenue and University to Steele Street. Starting on Small Business Saturday and for eight other days throughout the season, the Yuletide Carolers will sprinkle sounds of holiday cheer throughout Cherry Creek North. Listen to favorite songs of the season and wrap yourself in holiday cheer. For the first time ever, Chabad of Cherry Creek is hosting a community Menorah Lighting on Sunday, Dec. 2 with hot latkes, Hanukkah songs, doughnut, dreidels and more on Milwaukee Plaza at 5:30 p.m. The event is free and open to the public. The third annual Winter Fest returns on Saturday, Dec. 8 with fire pits, complimentary refreshments and treats, and family-friendly activities on Fillmore Plaza, as well as carolers and fun surprises at businesses throughout Cherry Creek North from 10 a.m. to 2 p.m. Other highlights include live ice carving, face painting, a DJ, giveaways, photo stops for kids and pets, and more. Make sure to check the Cherry Creek North event calendar regularly for all sorts of happenings all year long. The holidays are never complete without delicious food and drink (the diet can wait!). Take the time to fuel up during a busy shopping day or carve out time with family and friends at more than 50 restaurants and cafés. There are plenty of mouthwatering options for any meal of the day, including brunch on the weekends and happy hour every day. Treat a special someone to a relaxing getaway, celebrate as a family or revel in a girls’ shopping trip by booking a beautiful room or spacious suite in one of Cherry Creek North’s five top-notch hotels. Three of the properties, all with their own personalities, have opened in the past two years, including The Jacquard Hotel & Rooftop that opened its doors in October with 200 guest rooms, Chef Paul Nagan’s restaurant, Narrative, and an art collection featuring local creativity around every corner. 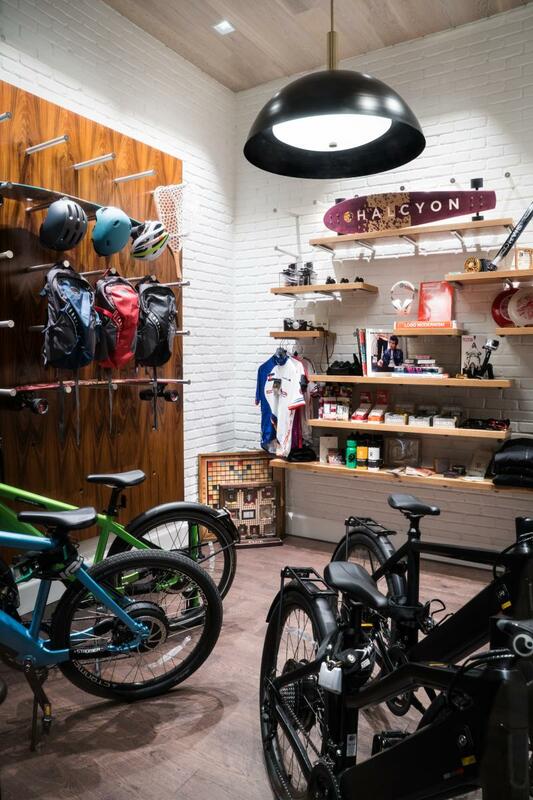 Moxy Denver Cherry Creek and Halcyon, a hotel in Cherry Creek are equally exceptional with features like the Halcyon’s gear garage for borrowing items to explore (e.g., longboards, cameras, bikes and backpacks) and a variety of games and fun waiting for guests in the Moxy’s lobby. JW Marriott Denver Cherry Creek and The Inn at Cherry Creek have earned their followings as chic accommodations with all the amenities needed for a fabulous stay. When exploring Cherry Creek North, it’s easy to park or valet once and walk the 16 blocks to truly experience all the district has to offer. It’s one of The Mile High City’s most walkable neighborhoods, and the 42-mile-long Cherry Creek Trail is nearby. Many public parking garage options offer $5 flat rates on weekends and evenings, or search for valet options or designated customer parking at several businesses throughout the area. Based downtown or looking for an outing with friends after work that doesn’t involve driving? The new City Shuttle powered by Chariot is free and travels the 3-mile route between downtown, Capitol Hill and Cherry Creek North on Fridays, Saturdays and Sundays from 7 a.m. to 10 p.m. The service is offered every 10 to 12 minutes and available on demand through the Chariot mobile app. Decked out for the holidays and featuring an exceptional combination of classic and contemporary retailers and restaurants, Cherry Creek North beckons all ages to savor the season. Visit CherryCreekNorth.com to find out more.